What do you do when you’ve got holiday to use up before the new year? Book a festive break away, obv! 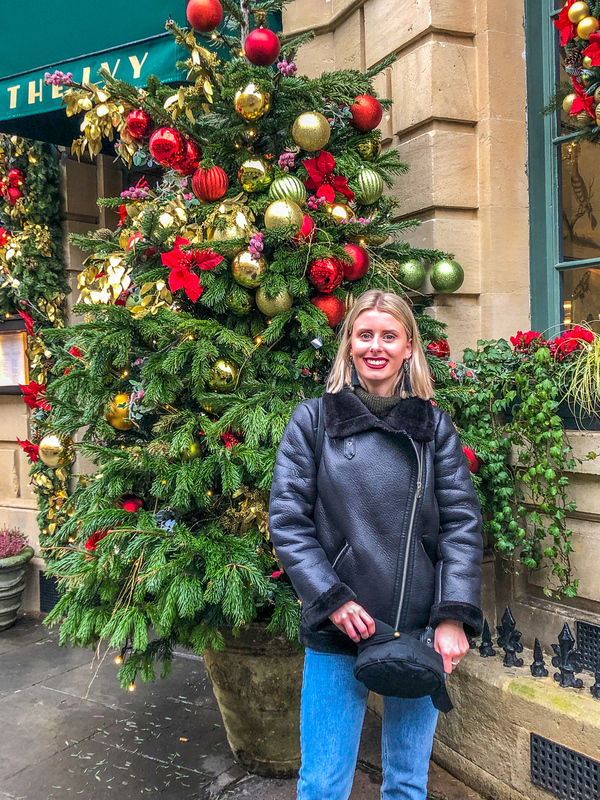 At the beginning of the month, my mum and I headed off for a lovely little festive stay in Bath. My mum and I like to explore UK cities.. we’ve done Nottingham, Birmingham and Brighton, and Bath was next on our list. Famous for their Christmas markets around this time of year we decided this is where we’d head to next. We spent 3 nights in Bath, travelling down by Train on Monday, and back home on Thursday, and stayed in a lovely little Airbnb by the city centre. If you haven’t used an Airbnb before, you need to. They’re usually cheaper than hotels and have a much lovelier personal and homely feel to them too. 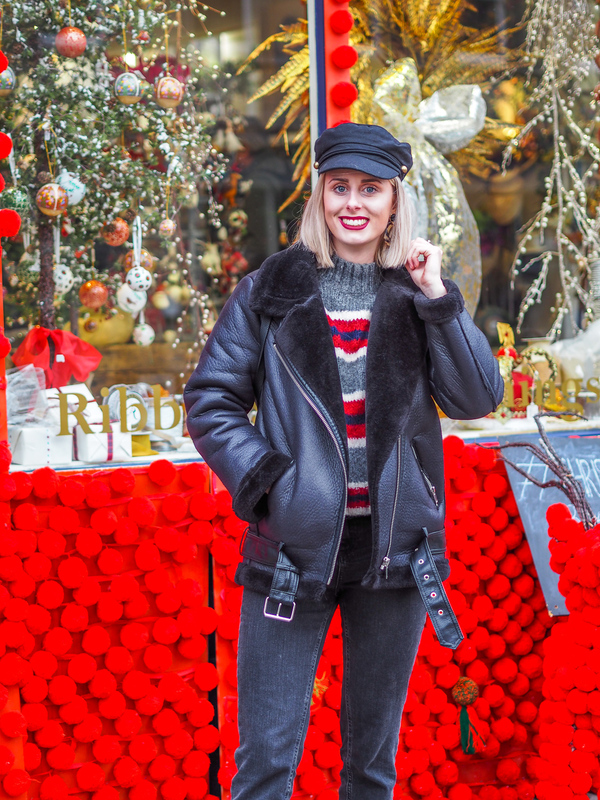 Despite getting the flu and feeling like a zombie for the majority of our stay, we still managed to get out and see the city, and I wanted to share our trip here on my blog. 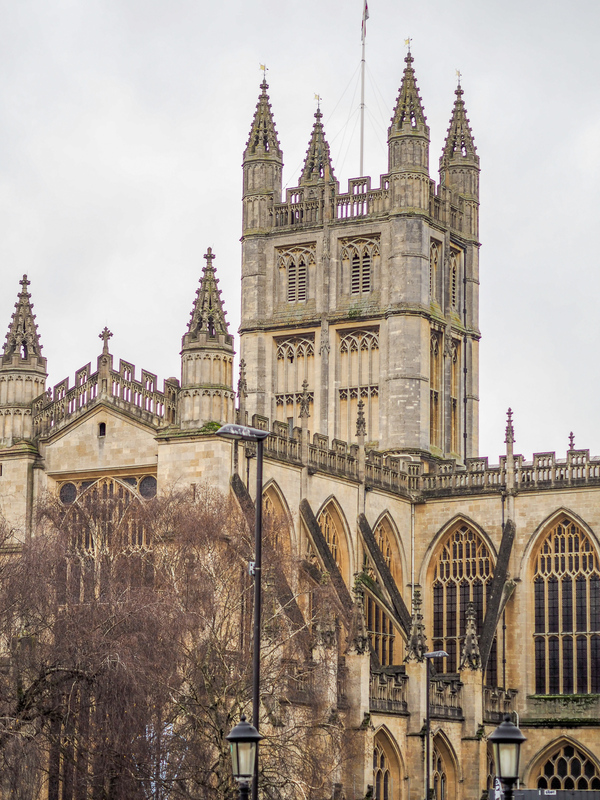 We only had two main things on our to-do list for Bath: visit the famous Thermae Spa, and have a look at the Christmas markets. 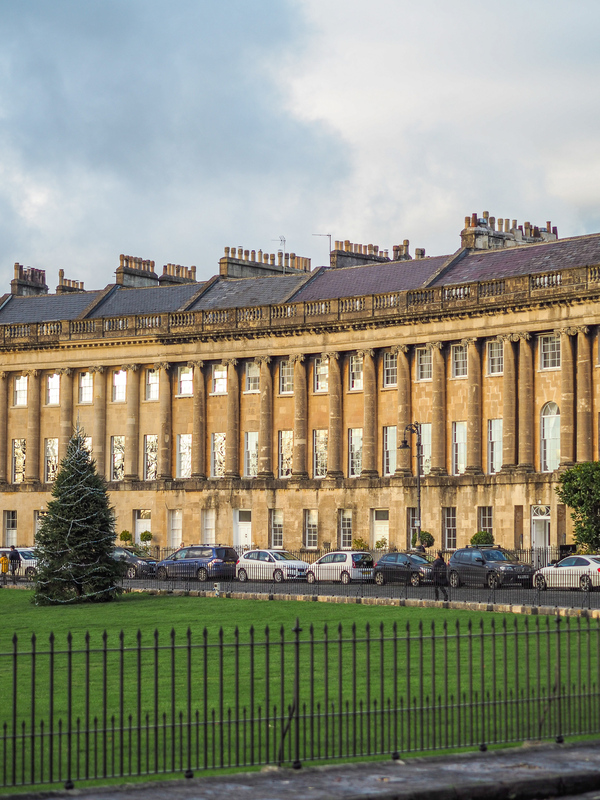 On our first day, we took some time to find our bearings, have a look at the Bath architecture – our Airbnb was right by the Royal Crescent, and have a wander around the city centre. On Tuesday we got up early and headed to the Thermae Bath Spa. This is a famous spa in the heart of the city which has 2 baths, fed by the naturally warm, mineral-rich waters.. one of which being a rooftop pool giving spectacular views of the city! We read it can get quite busy so we decided to get down for opening time – 9 am, and actually were lucky enough to have the rooftop pool to ourselves for a short while. For 2 hours you get full access to the spa facilities, including the two pools and wellness suite which has a sauna, 2 steam rooms, an ice room and a celestial relaxation room (aka the coolest room ever! My mum and I loved this one). Soon coming down with the flu, this was the perfect relaxing morning I needed. 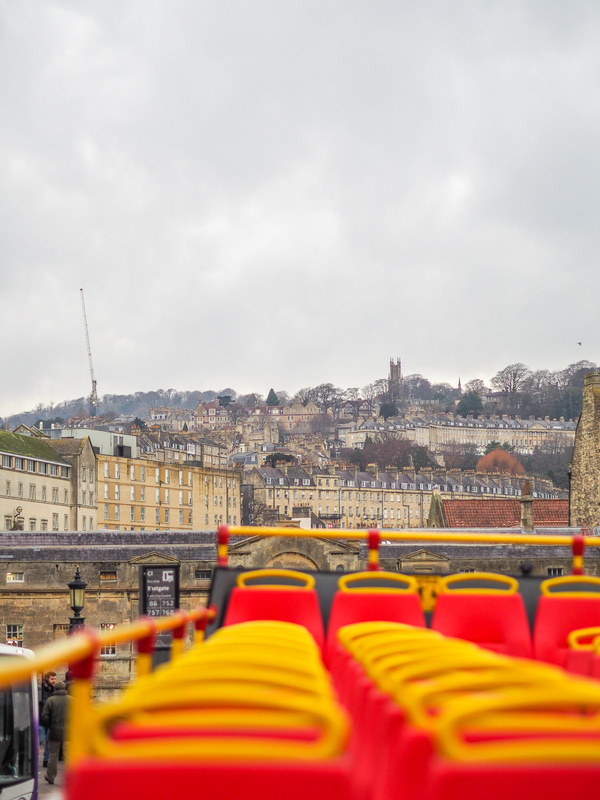 If you’re heading to Bath – this is a must-do! Next time I’ll definitely be booking some treatments too. For the rest of the afternoon, we strolled around the Christmas markets, stocked up on mulled wine and cider and picked up some gifts. 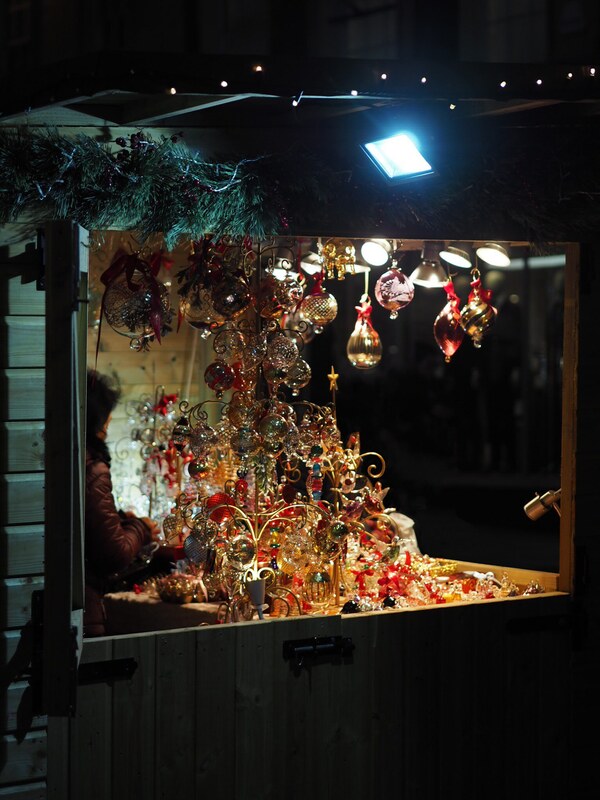 The way the Christmas market works in Bath is that there are stalls propped up everywhere – every corner you turn there’s another cluster of huts. I couldn’t believe how many there were! On Wednesday, our second and final full-day, we decided we needed to get a bit of history of the city and get involved with the culture. We decided on an open-top bus tour of the city which although Chilly, bought us around all the sites. It was great to understand a bit more of the city and see parts of it we wouldn’t have otherwise. We packed in a bit more shopping, although mostly unsuccessful, and with the heavens opening and me feeling iller by the minute, we returned to our cosy Airbnb to warm up and get ready for the evening out for food. For me, food is one of the best parts about going away, am I right? I love visiting cities that are full of independent cafes and restaurants serving delicious grub. Because I was feeling under the weather while away we ended up opting for eating out for breakfast as opposed to tea. The beauty of an Airbnb is that you can cook for yourselves, so we did this for 2 out of 3 of our evening meals… nothing beats a meal tucked up in front of the telly when you’re feeling rough! On our first morning, after our relaxing Spa session we chose to eat at The Roman Bath Kitchen – somewhere we found in the city centre. Here, mum and I had a bacon and egg muffin. Simple but delicious! The following morning we went to The Green Bird Cafe – a cafe near our apartment and recommended by our hosts. This was a cafe which had a much more independent and homely feel to it. Here I went for poached eggs on sourdough, and mum opted for a ham and cheese croissant. This was great value, yummy and set us up perfectly for the day ahead! Wednesday was our final evening in Bath and I wanted to eat out at least once, so again we went for a local, independent and well-recommended restaurant. We went to Rustico Bistro Italiano, which was just up the path from our breakfast spot at The Green Bird Cafe. Mum and I were both a little thrown when we walked in here – at 7 pm we were the only ones in the restaurant! We were well looked after and ordered garlic bread for starters (the most delicious garlic bread I have ever tasted FYI) and a bolognese and a tomato penne dish. When I tell you this was real Italian food, I mean it. Authentic, fresh and just divine, I can tell why this has such good reviews! We’d planned on having dessert but simply couldn’t even finish our mains – we were devastated! This restaurant is a must-visit in the city. On our final morning we had to lug our suitcases back to the train station, so we opted for a trusted favourite of ours: Boston Tea Party. Although not an independent local cafe/restaurant, this is one we don’t have in Ipswich but have visited a few times when away elsewhere. They do the best brunch options and always leaves me feeling full. I loved exploring Bath, especially at such a magical time of year. A beautiful city that I’ve fallen in love with, I’m sure I’ll be back soon. Have you ever visited Bath? Where would you like to go for a festive break?